All of our Shared Web Hosting are buy one get one free until June 31, 2014. When you require an assistance related to hosting, dont hesitate to contac t us through Mail, chat or through Phone. Lignite Hosting Support specialists are available to you to handle all kinds of hosting related problems. Dual xeon or AMD Processors. On every Windows Based Hosting plan, You get mysql v5 database free and no additional cost. You will also have options to use MDB as your database. Require MSSQL database, Please buy a MSSQL hosting plan. 2. Full functioned AJAX Webmail client, Email forwarding, Email Redirection, Email Aliases, Auto Responders More..
Windows web hosting, is based on windows operating system servers, we provide web hosting services with windows 2008 or 2012 server. 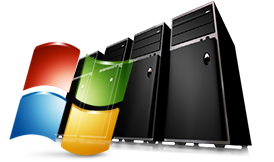 With just the operating system you cannot able to host websites and serve the same. so there are other essential software's which you need to run websites. You can able to use MDB as your database or my SQL on windows web hosting. On any occasions you can always contact our support to get help and provide remote assistance if required. We offer the best linux web hosting in the industry with the most experienced experts, our founder has 10+ years of experience in serving the hosting industry as a technical support to the companies General Manager and VP. You can always shoot your questions to them to get their direct attention on any occasions.